When you think of it, we are so fortunate to have found the New Message from God Revelation and its Messenger in his lifetime. He is still in the act of receiving this vast Divine Communication. It is the largest body of Revelation ever to be received in human history. It has taken him almost four decades of his life to do this. This is happening now, and we are amongst the first to know and to witness this process and what it requires of him. Over the years, Marshall received most of the New Message Revelation alone: morning, noon and/or night, on birthdays, holidays, when traveling, when ill.
At times, single revelations came intermittently and at other times hundreds of revelations came in a flood. Then a process would need to take place, before some of these revelations could be presented to the world, and even then, presented in a humble, non-sensational manner. The early texts of the New Message are an example of this: Steps to Knowledge, Wisdom from the Greater Community Volumes I & II, Greater Community Spirituality, Living The Way of Knowledge. Now today you can share in this process of Revelation, as if you are right there as it is happening. “The Pilgrimage” is the first and only revelation Marshall has received so far in 2018. And so on October 31st, 2018, Marshall was called again. I began to witness this process the night before. I knew that something might be coming. I saw Marshall sitting up in deep stillness before bed, with his little leatherette notebook beside him, where he records short communications that come to him from the Angelic Assembly, usually at night. The next morning, I found him in the lower part of the house, just standing transfixed, gazing and very still. It was a cool somewhat overcast, intermittently sunny day. There was a melting layer of snow on the trees and bushes. We hurried to prepare the immediate environment. At 11:58 AM and seated, Marshall entered a quiet state, eyes closed. I could barely hear him uttering his prayers. 10 minutes of complete stillness followed. At about 12:40 PM, the Voice ceased. Marshall was completely motionless for some time. The environment was remarkably still. At 12:41, he looked up. I knew, from how he looked and how he spoke, that he had not “fully returned” from his experience of receiving “The Pilgrimage.” He began to speak, and I recorded his first words while he was still in some kind of in-between spiritual and physical state. “After receiving The Pilgrimage, I can feel the surrounding Presence begin to flow upward into a funnel that goes high, high above me, beyond what I can see or imagine, leaving me in a very quiet place. My mind is very still. This is actually quite wonderful. I’ve grown used to this feeling of emptiness and not seen it as a threat or a danger, but as a moment of Grace, for in the stillness and the emptiness is the Presence. The Assembly has withdrawn, but I’m left with the Presence … withdrawn way up high, higher than I, but I’m left with the Presence. They’re calling people to me in this revelation so I may know them and recognize them, for my life here and my life beyond…(sigh) yes. This is important. I must know of those who have truly responded and are willing to walk in the sacred pathway that will open before them as they proceed. Those who can face a world in turmoil will find their courage and their strength to do this through the Revelation. Those who will correct the errors in their thinking, errors in their past, they may be free to continue with greater strength and clarity of mind. May the Revelation go forth into the world, finding its true recipients, its first responders, from any culture or station in life, from any religion, from any nation…the Calling goes forward, powerfully, with great purpose and meaning. And always remember that Knowledge within you is the basis for you determining what is true and what is not. But Knowledge is not your worldly mind. You must go deeper within yourself to feel and know this, and to be able to respond to it clearly and freely. The environment began to feel very, very empty and vacant, even to me, unbearably empty. I was stunned by this pronounced experience, and I thought of all those times over the years when Marshall would have to “make the transition back” alone from his experience with the Angelic Assembly. He would have no one there with him when he returned to a normal frame of mind, no one there. In those years, we were all putting in long days on our respective jobs, only to hear later that a revelation had come while we were gone, or at times, on our way out the door to work in the morning, hearing that a revelation had come that night or in the early hours. We eventually got up. We gathered ourselves for a meal and then a stroll to reorient ourselves. So let us take a moment to be with this news and to be with the Messenger, who has traveled so long, often alone, to bring this great Revelation to the world, to us. Let us take a moment to realize that the Angelic Assembly were able to reach and communicate a Divine Revelation to their Messenger again, and we are here to witness it. Please feel free to comment below. Marshall can receive your communications in this way, or you can send a message to Marshall at The Society at: contact@newmessage.org. 67 Responses to "Receiving ‘The Pilgrimage’"
It is amazing to read this and get a glimpse of the process of Revelation and so wonderful to hear the news that the revelation for 2018 has been received! I was so glad to meet Marshall at the 2018 Encampment – I will hold my experience of him, his presence and his way with me as something sacred – and I hope I will get a chance to be with him and his sacred community again in the future (I certainly plan too). What a remarkable thing! How lucky we are. Thank you Patricia for sharing this with us. I am glade to hear ,see and wishes zealously to meet you immidiatly.It is quite possible for you if you are true messenger. I am in pakistan and request you to visit me here or recal me where you are living now a days. We are so blessed to learn of this new revelation and we send our sincere gratitude to The Messenger for receiving it. Can’t wait to hear it and read it. Another piece of the puzzle, indeed. Thank you for letting us know. This time of revelation, this time of new revelation from the Angelic, is important for all human in this world and it’s important for my life. I’ll be present end of January for the vigil and your birthday. It’s a big decision I took few weeks ago and this decision was not only mine. It was a recommendation by a higher power and since that time I’m expecting the moment to be with you and to bless you as the messenger of this time and the time to come. I’m ready for my mission in this world and I just want to receive it when God considers my preparation finish. I bless you and thank you for all you have done during this life for the humanity. I’m sure God will receive your one day for blessing your life and yourself. Sorry for my bad English, I have done my best to leave my emotion going through my words. But the words are so simple to express all what I’m feeling at this moment. Thank you Patricia for this little insight. The vulnerability makes my hart glow. So glad I was able te meet Marshall and you. So precious. Thanks Patricia for helping Marsahll all his life and during this moment of revelation. You knew how to transmit us the energy and the glory of this moment . Dear Marshall, i have received from you more than from anyone in my life, even the ones who know me and love me could not give me what you gave me, even without seeing or actually knowing me personally: very deep recognition of me, strength, compassion, true understanding. I always have this thought that when i don’t do my Step of the day or when i am weak and complacent i let the Messenger down and just the thought of Marshall inspires me so much and puts me back together. I recognize you as the Messenger and as a human being, as much as i am capable of it, and this recognition gives me strength to keep on going, makes me happy and also i feel a great pressure of responsibility this puts on me. I am sending you my deep gratitude, love and understanding as well, since i can see now how much compassion and strength the Messenger must have. This is incredible and unbelievable to see and to witness, a blessing to see. Thank you for this new Revelation. My gratitude to Patricia for being with Marshall there. These words of Marshall really struck me: “So glad not to be alone. It was so strange and hard at times in the past.” We will never fully understand the path of the Messenger but words like these give us a glimpse and help us understand the Messenger better. NNC. Thank you, Patricia, for sharing this vibrant window into the Messenger’s experience here, receiving “the Pilgrimage. It is such an honor to be present to this. 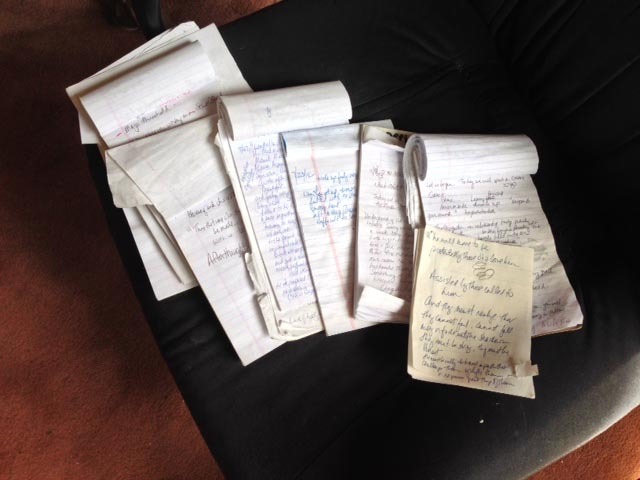 Thank you, Marshall, for sharing your notes around this experience, so humbling to read. 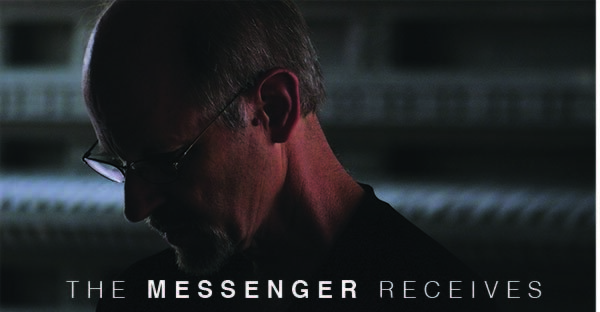 God bless the Messenger. God bless Patricia. It is so amazing and blessing to listen the voice of Messenger aftergrow… I send my whole gratitude to Patricia and Marshall… I can’t explane my feeling. It is so sacred.. and so wonderful..
yes. Marshall is very very strong enough to receive the Revelations..!!!! Oh my god.. Thank you for gifting the world with this window into the world of our Messenger and his wife at the moment of being called. I pray this feeling of aloneness and emptiness that can accompany the transition back from a state of Revelation is aided by the strength and devotion of those responding. Patricia we who make up the WWC are blessed that you have been able to paint us pictures with words in this way, that we can then share with others. I also pray to be able to speak with complete honesty and accuracy about my experience of Marshall. How fortunate and responsible are we! Thank you, Patricia, for the sharing of this process. Deepest gratitude to Marshall and the Angelic Assembly. This revelation and afterglow account really impacted me and resonated with me deeply. It is both beautiful and affirming. Thank you so. much, Patricia, for sharing this with us. It is such a sacred experience, and it is as if we were there. We were at the Encampent this year. An experience we will not soon forget, and an inspiration to talk about the Message even more than we did before. We will continue to donate for the need is great and no cause could be:more important, than to help the message get out. Speechless and worldly mind in overdrive regarding The Pilgrimage, Marshall, the Angelic Assembly and the contents of the email from Patricia. Being a part of this is a mystery to me and I am grateful for that, however, being there when a Revelation is received and then being able to share that experience with us is a gift to be treasured forever. Thank you. What an unspeakable blessing and gift. My deepest heartfelt gratitude for what you have given to us here. I pray that I may honor the Messenger and all those who surround, protect, and support him, in any way that I can. I am with you Marshall, and I give myself to walking with you, now and in the times to come. It is so wonderful to hear that Marshall is once again receiving Revelation. I know that my experience at the 2018 Encampment was life changing. The confirmation from being in Marshall’s presence, meeting The Society and fellow members of the WWC, is immeasurable. I had already sensed something very different about Marshall’s presence, when viewing videos of him virtually. The feeling in person is indescribable. When I looked into his eyes, it’s as though rays of light entered my being and eradicated all remaining shadows of doubt that this man is in fact the Messenger of God. It warms my heart to hear that he is still well enough to receive. I know he still has great work ahead of him, and I pray that he has the health, the strength, and the fortitude to complete the Arranon trilogy, and The One Book. You’re making me homesick Marshall! I need to stop thinking about those wonderful things outside. We still have so much to do here in this clunky place! Can’t spend our days staring out the window when there’s so much to do in the house! LOL Sending you both my warmest…….. It was great to meet you at Encampment, Marshall. Thank you for everything you’ve done for us. I am going to try as hard as I can to receive your gift and to express mine. You are welcome, if you would like, to visit us in New England next year to see the fall colors again. Take care Marshall and Patricia. Thank you Patricia AND MARSHALL for this, yet another sacred gift of REVELATION and its afterglow. Marshall has been rewarded a glimpse of The Angelic Assembly’s environment. I’m so excited for Him. He’s worked so hard and humbly and often alone and now this wonderful experience. How Blessed are we to be in recognition of our authentic receiving? Thank you Patrica for your dedication, protection and care of our Messenger. I’m doubly blessed to know that I’ll serve The Messenger and The Message; to have made my Sacred Rendezvous. I will never have a problem saying I know Him and describing how He is. Im very thankful to be part of this amazing groups of Spirits and to be able to experience the Revelation. Marshal and all his family: THANK YOU FOR THE TIME INVESTED IN THE FUTURE OF OUR PLANETS, AND IN OUR PERSONAL DEVELOPMENT. I will continue to spread the New Message From God and the Allies Briefings on my native lenguage. Message received with loving attention. 4)	He will be among us at least for multiple years (…remaining years of His life…). I was worried about His health condition. Lastly, “The Pilgrimage” gave me the strength, courage, and inspiration not to miss an opportunity to meet with the Messenger in person during the remaining time that He will be here on earth. I want to be a true responder of the Messenger’s calling and strong desire to be known by Him. Thank you Patricia to share this afterglow with us. This revelation speaks to me directly and call me to meet Marshall. And I truly wish it will happen soon. I will pray for a miracle to make this Pilgrimage. Thank you Marshall for receiving God’s new Message for humanity and I wish to see you soon. Nasi Novare Coram. I have sent an email reply to The Society. Thankyou Marshall, Patricia and Reed for the tremendous job of spreading this true message. I started my practice in 2011 and still learning new things with Steps To Knowledge. I’ve experienced the stillness and awareness Marshall talks about and had some far out experiences as a result and know how hard it is to maintain through this busy life but I will continue to practice each day. Wish all of you the best . Dear Marshall & Patricia, thank you so much for sharing the afterglow experience, it truly makes me feel as though I am right there listening to a genuine miracle in progress. It is Amazing to me that yet another Revelation has been received!! AMAZING!! I feel a devine joy in hearing almost the entire Revelation has been given and that Marshall is strong enough again to receive. I feel I have made a sacred rendezvous in meeting Marshall, a great blessing I will always cherish. Deep gratitude to you Marshall for all you have done and will do. Nasi Novare Coram. Thank you Marshall and Patricia sharing this. I am willing o witness of Messengers’ time. I am so blessed person to live your time. I cannot explain how I feel to live revelation time. Thank you again. Bless your health. Love You so so much. So profound, so deep! Thank you, Patricia, for sharing this with us! Thank you, Marshall, for recognizing who you are! We love you both for this! At my present age of 57, I think the first 55 years were spent preparing me for the revelation from Messenger to be understood. For the first 55 years, life was preparing for the time when The messenger will speak and I will be able to understand his words. Since about one and half years that I have started reading the words from new message, I feel that earlier I was merely vegetating. Only from the time that i have read his words, do I feel that I know a bit of what it is to LIVE. The present communication of PILGRIMAGE finally puts into perspective all that I have read so far in the new message and it all makes sense. I can feel your presence in my heart in the time when I sit for meditation in the wee hours of morning every day. After meeting Marshall and dedicating the past eight years to studying The Revelations, the Sacred Texts and taking the Steps to Knowledge I am reminded daily by those in my community and those within my Tribe of certain things that I must cultivate; My meeting was brief, less than two minutes nothing amazing or spectacular, Marshall said four words ‘Thank you for your student hood” I asked “How can I assist you?”. Marshall said “See Reed”. So I waited patiently until I saw a moment when Reed was with no one at The Messenger’s Vigil and our meeting was brief, less than two minutes, I asked “How can I help?”. Reed said “Start your own Study Group in your town.” So I returned to my town knowing that it would not be for quite awhile that I could afford to return. I knew it was likely that I would not see Marshall again. My Tribe are the Poor and the Impoverished. You do not have to leave your zip code to serve the Poor. Before you can serve the world you must serve your city. What is even more rare is when you find Teachers that do not contradict each other, … but support and endorse each other. You will not be able to comprehend this until you experience this. Do not condemn those that have. Note: Remind yourself how amazed you are that you found The New Message From God. This perspective has brought upon me scorn, ridicule and condemnation. Dariel, You are not expected to understand someone you do not know. Unfortunately you also misunderstood my response. You must have “assumed” that I meant that my time with Marshall and Reed was too short. That is an error Dariel and We all make them, especially when we make assumptions without speaking to the person We are judging or condemning. That’s no problem, I have been judged, criticized, gossiped about by others here. I sent an email and my picture to Marshall. If he does not respond I will not be offended. If I find myself standing next to Reed in Lucky’s Market and he does not know who I am I will not be offended. My intent was to express that both were just ordinary people, no great proclamations were placed upon me by either Reed or Marshall. I recognized immediately upon entering the Sanctuary that there were people who had traveled from all over the world to have this one chance to meet Marshall and everyone else. I was living in Niwot Colorado at the time Dariel so if I only had a minute or two so be it. I would likely have another chance since I was only one zip code away and yet all these other people had traveled from afar and spent money to be here. I could wait. There was a an obvious line of eager people to meet Marshall at the end of The Vigil the first two nights and I waited in the back of the room but Marshall was ill and tired back then. On my third night I asked Tyne to introduce me as I thought it would not happen but she said o just be patient so I waited. We were having refreshments on my the last night and Rudy motioned to me to come to him and Marshall. I put down my fork, Marshall put down his and stood up, we exchanged greetings and that was it Dariel. 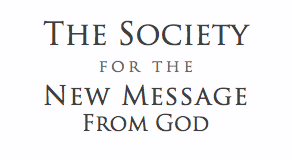 In addition Dariel, … one of the first things that I read in the New Message is that “the message is more important than the Messenger”. I took that to heart and still do. I also read that ” you will not get any awards or accolades for being a student.” and I did not expect any..If I had NOT met Marshall or Reed or Patricia or Robert or Carol or Ellen or Allison or Gina or Will or Cray… it would not have made any difference at all. I was already committed and eight years into my student hood. Sooooooooo Dariel, … I appreciate your concern and best wishes however this is not the first time other students have shared their preferences with me. I have been told that i practice ‘the wrong way” and I “need to do certain things the way other students think I should” and this really inspires me. Thank You. I read in the New Message that there are “a billion races in the universe”, I guess I’m number 897, 642 and it is likely that you have never met anyone like me even as ordinary as I am. You will find as you continue to read my comments that I do not respond like most and I only take this opportunity to address you directly because you have called me out. And furthermore Dariel my one of my other Tribes is the Rich and the Affluent, and there are more. When Reed asked me to “start my own study group” I was not offended. I ambushed him during a break in The Vigil as he was dashing to the Men’s room. I happy to just introduce myself and I was merrily on my way. So since that meeting and now Dariel I have accumulated (10) sets of the printed Sacred Texts books including Relationships of Higher Purpose, Steps to Knowledge Continuation, all of them. I bought them. They are for my study group along with the (10) computers each study group member will receive free of charge. Do not let your assumptions distract you from your purpose Dariel. I have nothing to prove nor did I ask fr this. I started reading and could not stop. I am the result of what has been given to the Human race as well as you are. Be pluralistic and your preferences of others will dissipate before they can be expressed. Fir your comfort I will not post any other comments here again. Thank you Marshall for this New Revelation. I was so blessed to have made my pilgrimage last encampment. Doing pilgrimage has always been on my mind ever since i grew up back in my country watching other people. Nasi Novare Coram. I am still in a swirl reading your words and comments from October. I am undertaking the steps to knowledge and feel that I am stumbling more than I should. I just need to say thank you. I hope to meet you some day. This communication from Patricia about Marshall’s experience in receiving The Pilgrimage leaves me with such a feeling of deep peace. Not peace as in the graveyard as Marshall put it so meaningfully in a talk, but peace that requires me to step out into the confusion of the world with a peaceful heart so I can see what is needed and how I am being called. Thank you Patricia, and much love to you and dear Marshall. I am so fortunate to be in the world at such a pivotal time when a true Messenger of God is working and speaking and giving his all to the human family. My love and deepest gratitude to you Marshall and your wonderful family. NNC. Thank you Marshall. My heart is full of gratitude. I trust you completely with the great mission you’ve accepted and continue to carry out. May we, as first responders, give ourselves fully to the task of inner awakening, and in helping humanity to rekindle the sacred fire of Knowledge within each individual, and throughout the world. Nasi Novare Coram. Thank you Patricia for sharing this with us. Thank you Marshall for all the revelations you have been receiving and also for this one. I felt very moved by it. Thank you both. Dep gratitude. No one can know what it is to be the Messenger. Even Patricia and Reed who are sometimes in the room when he receives revelation from the AA cannot know. “My mind is very still. This is actually quite wonderful. I’ve grown used to this feeling of emptiness and not seen it as a threat or a danger, but as a moment of Grace, for in the stillness and the emptiness is the Presence.” This revelation leaves me grateful but also sad and empty and alone–in the way that Patricia described. The Messenger has almost completed his mission in receiving the Revelation. I feel a great sense of loss already at the huge void you will leave as you goe Home. I pray for your strength, courage, perseverance, determination and wisdom in completing your mission dearest Messenger. It is a profound blessing to know you and to assist you. May KN guide me to help in all the ways that are needed now so that your mission may be fulfilled and our destiny be moved forward. I am deeply grateful for your life and for all the ways that you have furthered the spiritual evolution of humanity–and my self. There has been great redemption in my lifetime–all due to the gift that you have given your life to receive. “We speak about religion in terms of practice and not in terms of theological ideas or God. It does not matter if you think God is real or not. That just determines your form of education and what terminology must be selected for you to proceed. You are all religious people because you are involved in education. School is not out. It is moving forward. When you cease to learn, your mind begins to shrink. It is like a muscle in your body. It must be exercised and employed and given new challenges. That is why the goal of life is not to achieve complete understanding. The goal of life is to be educated and to share your education with others. In terms of practice, the experience of Knowledge is not so mysterious and can be quantified and applied. Therefore, do not confuse the Mystery with the application. We are speaking of the practice. It is very simple: Do this and this once a day or once a week or whatever. Nothing mysterious. What is mysterious is that you do not understand how it works. But you do not need to understand how it works,… unless you have experienced it sufficiently and are preparing to teach it to others. When you are learning to tie your shoes, it does not matter to you how the educational process works. It simply matters that you accomplish the task. Then, if necessary, you can study the methodology of learning this so you can teach it to another. I have come to teach in the world. YOU HAVE COME TO TEACH. All you have been doing is teaching since you arrived here. Your thoughts and your behavior are the vehicles for teaching. Even as a little child you taught and delighted and frustrated those who loved you. Throughout every stage of your life you have taught, for teaching is the natural function of demonstrating life. Thus, you naturally have a teaching function. Even if you do not carry this out in any formal sense with people, your life is a demonstration and, therefore, a form of teaching. THAT IS WHY AS YOUR LIFE BECOMES ALLIED with Knowledge and expressive of Knowledge, your life will become the teaching itself. Then, in whatever avenue you are directed to choose for your self-expression, which will be genuine according to your nature, you will be able to express your teaching in gestures great and small, in words and without words and in accomplishments in every avenue and walk of life because you have come to the world to teach. The world can only teach you that you need to teach the truth. That is the world’s teaching to you. It teaches you of the great need for Knowledge, and it teaches you of the presence of Knowledge. Thus, the world serves and supports your true function, as you serve and support the true function of life. REMEMBER THIS IDEA UPON THE HOUR. In your two deeper meditation practices give yourself to thinking of this very, very carefully. These are practices of mental engagement now. Think of the meaning of today’s idea. Realize that you have always been teaching through demonstration. Think of what you want to teach with your life and think of what you want to fortify with your life. Think of what you want to give and think of what the world has given to you to stimulate this true desire. All these things will generate right thinking and right action, and through right thinking and right action Knowledge will flow effortlessly through you to bless life around you and to bring purpose, meaning and direction to your relationships. “If you have purpose, you will teach it. If you do not have purpose, you must seek it.”. To receive the New Message is to receive its wisdom and its teaching about Knowledge, purpose, relationship, unity, cooperation and humanity’s emergence into a Greater Community of intelligent life in the universe. When I was eagerly looking for Teacher to guide me, I found the New Message from God. At the time, I felt the New Message from God is beautiful. Now I’m feeling NMG is a blessing and Grace to me and to this world. It is a great honor to us to be with Messenger, Marshall at the time of Revelation. Thank you, Patricia for sharing the process of receiving Revelations. Thank you Marshall and Patricia for this valuable gift of the reality around Marshall and where he receive his revelation. I will bring it with me like I have done before, and I read it before I go to sleep, bless you all with strength and couraage and grace, I am so grateful for that I found you in a special time of my life and I am still digesting the Encampment. And I am also in moving to Denmark and hopefully I will make it now. I am so honored to have found you all, I love and Thank you again and Nasi Novare Coram. God bless you Marshall and Patricia ! Thank you ! Nasi Novare Coram ! Knowledge cannot be usurped, corrupted or plagiarized. “In the Greater Community, there are minds and cultures far more powerful than yours. There are minds and cultures which can dominate you. There are minds and cultures which can manipulate you. The strong dominate the weak in the mental environment. This would indeed be the case here except that you have Knowledge within you. Knowledge is the only part of you which cannot be dominated or controlled. This, then, establishes it as your one great advantage in life. No matter whom you are confronted with, no matter what situation you are facing, no matter what challenge or crisis you must contend with, Knowledge is the greatest resource that you have. Knowledge will indicate what must be done, what must be learned, what must be avoided and what must be claimed. Here your intellectual understanding will have genuine direction and Wisdom behind it. Here your physical skills will have a foundation upon which to function. What you have learned in the world, which represents your intellectual and physical training, will now have a greater foundation that can be guided by Knowledge, for Knowledge is what they require in order to be truly effective and beneficial in life. It cannot be dominated by anything in the universe. GSC.23 How is Knowledge translated in the Greater Community? “.”God protects the great Revelations with a Seal. The Seal means that the Angelic Assembly will not provide another great Revelation until the Lord of the universe indicates that it must be so. It is their Seal, to protect the Revelations from usurpation, …from plagiarism, … and from those who proclaim themselves to be emissaries and messengers, which inevitably happens following a great Revelation for the world. “Receive the Heart of God through your Spiritual Family that is joined about you. Patricia and Marshall-I know that I can not even fully comprehend the miracle of having found you at this time, while you are still alive and with us Marshall, and still receiving the final revelations, nor can I fathom the full extent of the great privilege and responsibility of being one of the first responders who has had the unfathomable blessing of being actually with you while you are here, seeing you with my own eyes, receiving your embrace, your gaze, you brief words personally given to me…but I do want you to know, that I do not take for granted this great generosity demonstrated on both of your parts to allow all of us into the sacred environment of the process of receiving the revelations , via your intimate portrayal, even recording Marshall’s first thoughts and words, as he returns from that sacred environment! Never has this been done before. Never have we been privy to what must be one of the most sacred occurrences while one is in human form- where the veils between heaven and earth part to allow this transmission from God to occur. As far as I am aware, never has there been a time of such great need for humanity to wake up to the situation in our world…that we would be given so many proofs of the purity and the trustworthiness and the impeccability and the utter accuracy and truth of the source of these transmissions , and the undeniable reality of the one who has been chosen to be the worthy Messenger for these times- Marshall Vian Summers.I don’t know that any one of us can fully comprehend the full extent of the miracle unfolding in our lives- I just very humbly, and very simply want to say: I see you. I see (and feel)your great love, your great generosity- having given your very life to fulfill the assignment you have been charged with, and I see the great demonstration that your life is.I want you to know that I am walking with you, even as I am being called to Europe at the moment. I am learning each day a little more of what it means to give my life over to serve and shoulder my small part of this great burden you carry Marshall- for the sake of humanity’s emergence as a free race in the Greater Community of Worlds. I carry you in the deepest sanctuary of my heart, and pray that you will succeed with great vigor, in completely fulfilling your mission and purpose here on planet earth. I have decided to come and see you at the Messenger’s Vigil next year when I listened to this Revelation. I must meet you again…as the time comes. Thank you Patricia, for your detailed account. They are always so deeply intimate, as if you were talking to each one of us personally, directly. This Revelation is so relevant following Encampment and it speaks to the reality of the Greater Coordination. I really wasn’t in a stable position financially to come to Encampment this year, but I made some big decisions because I just knew I had to come again. Each year, each event, is a real opportunity that may not be there next time. We are truly blessed as “first responders.” This passage really spoke to me: “You must know the Messenger because how he is portrayed in the future truly will be based upon the recognition of those who understand him now, who have received from him during his time on Earth. They will be the first responders, and their testimony will be significant though others will continue to respond to the Revelation and even to the Messenger far, far beyond this time.” I pray for Marshall and send my gratitude to Marshall each day. May those searching for The New Message find it in time to connect with the Messenger in his remaining years here on Earth. Thank you, dear dear Marshall, Patricia. Patricia, I feel so much gratitude towards you. A humbling experience it is to find myself feeling this deep relationship with you without having a personal relationship: it is like I feel myself maturing, experiencing this relationship based on what you have done and are doing and will be doing and my positioning because of that….what I have learned, am learning, will be learning and accordingly am and will be doing and experiencing. The way you are being with Marshall, your wise teachings, your so so intimate sharing, now and in the past have certainly helped me expand my understanding and experience of deeper and true relationship. And while you bring all of that, Patricia, you always keep the bigger picture of our greater reality and what is needed in front of you and everyone else. I am forever grateful. Marshall, words can’t fully describe how I feel reading ” The Pelgrimage”…. Early 2014, I first learned about the Revelation ( only by reading books) and it took me months before I could start doing the Steps To Knowledge practices, and I did that, because no doing so, felt like slowly dying. was looking at you, your face on video’s. Why? It was so big, and I was so afraid of what might happen: a huge mountain of not knowing and my ideas of religion and religious leaders held me back. I first met you in 2015, and I came to the Encampment, because I wanted to make sure that you were truthful: sorry. Thank you for sharing the new Revelation-Pilgrimage, which I have just read, with so much gratitude for the Angelic Assembly and for Marshall. Blessed be to those who give forth these pure messages, and care not to be corrupted for other purposes or misinterpreted. We are so lucky to live in these magnificent times, so important in the history of mankind, and we also have a great responsibility for I came here to serve this time in simplicity and humility. For those reading this testimony perhaps centuries from now, if it survive. It is important to know that each of God’s previous emissaries and Marshall Vian Summers, provided something significant for the world’s evolution, each period brought service to meet the need of that period. This means that the need of the world changes as the world evolve. Understanding this and you will understand the previous Messengers. And your religion will compliment all religion and the New Message from God. For there is no contention in God. Marshall, thank you for your deep and beautiful spiritual revelations. Please remember me when you go to the Angelic Assembly. You are truly a great teacher of humanity, your words resonate deep in my being. Thank you for your work on earth.